The Revd Professor Andrew Linzey, PhD, DD, HonDD, is a member of the Faculty of Theology in the University of Oxford, and Honorary Research Fellow of St Stephen’s House, Oxford. He is also Visiting Professor at the University of Winchester, and Special Professor at Saint Xavier University, Chicago. In addition, he is the first Professor of Animal Ethics at the Graduate Theological Foundation, Indiana. 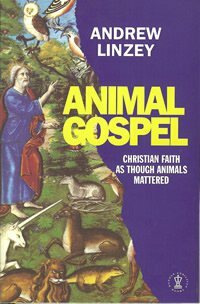 Professor Linzey previously held the world’s first academic post in Theology and Animal Welfare — at Mansfield College, Oxford (1992-2000), and subsequently at Blackfriars Hall, Oxford (2000-2006). From 1987 to 1992, he was Director of Studies of the Centre for the Study of Theology in the University of Essex, and from 1992 to 1996, he was Special Professor in Theology at the University of Nottingham. In 1998, he was Visiting Professor at the Koret School of Veterinary Medicine at the Hebrew University of Jerusalem. From 1996 to 2007, he was also Honorary Professor at the University of Birmingham. Professor Linzey has written or edited 20 books and more than 100 articles. His work has been translated into Italian, French, Polish, Spanish, German, Chinese, Taiwanese, and Japanese. He has lectured and broadcast extensively in Europe and the United States. In 2001, he was awarded a DD (Doctor of Divinity) degree by the Archbishop of Canterbury in recognition of his ‘unique and massive pioneering work at a scholarly level in the area of the theology of creation with particular reference to the rights and welfare of God’s sentient creatures’. 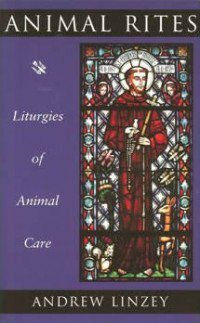 This is the highest award that the Archbishop can bestow on a theologian and the first time it has been awarded for theological work on animals. In 2006, he was placed on The Independent’s ‘Good List’ of 50 people who have changed Britain ‘for the better’. 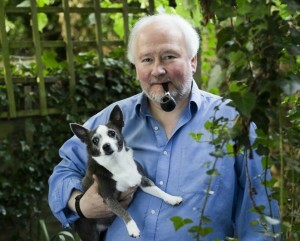 In 2010, he was awarded the Lord Erskine Award from the RSPCA for advancing animal welfare within the Christian community. 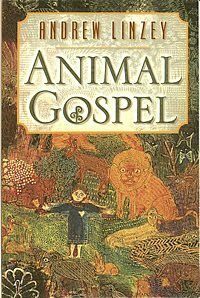 The first modern work on the status of animals from a Christian standpoint. Critiques the traditional criteria for rights (personhood, rationality, soul possession) as inadequate and proposes sentiency as an alternative criterion. 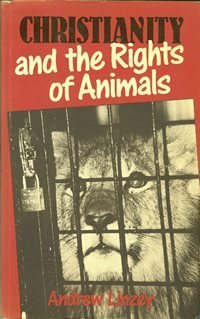 The first systematic attempt to relate the notion of animal rights to biblical insights and to provide a theological grounding for the rights of the creature. US edition: New York: Crossroad, 1988. Co-edited with Tom Regan. London: SPCK, 1988. US edition: New York: Crossroad Publishing, 1988. 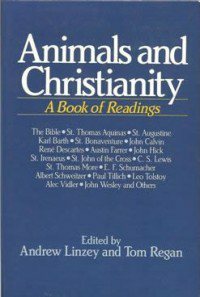 The first anthology of Christian texts on animals, with extracts from partisans on both sides of the debate, including Aquinas, Augustine, Bonaventure, Irenaeus, Descartes, Thomas More, Calvin, Tolstoy, Wesley, Schweitzer, and Barth. Co-edited with Tom Regan. London: Marshall Pickering/HarperCollins, 1988. 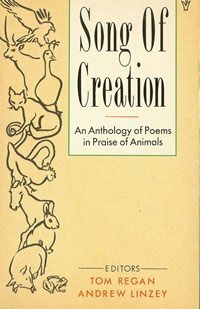 A collection of some of the finest poetry celebrating animals, including pieces from Blake, Clare, Cooper, Donne, Emerson, Hardy, Longfellow, Pope, Shelley and Vaughan. Co-edited with Tom Regan. London: SPCK, 1988. US edition: New York: Crossroad Publishing, 1989. A collection of readings and prayers for use by churches and individuals. Co-edited with Paul Barry Clarke. London and Winchester: Pluto Press, 1990. German edition: Guthmann-Peterson, 1997. 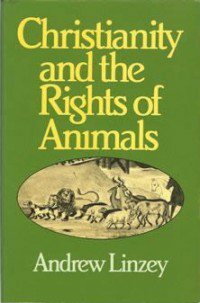 A collection of more than 50 extracts showing how thought about animals, and our duties toward them, has been a concern of philosophers, political theorists and theologians as diverse as Plato, Aquinas, Descartes, Hobbes, Kropotkin, Mill, Marx and Schweitzer. London: SCM Press, 1994. US edition: Chicago: University of Illinois Press, 1995. Spanish edition: Barcelona: Herder, 1996. Italian edition: Toriono: Edizione Cosmopolis, 1998. Japanese edition: Tokyo: Kyobunkan Publishing, 2001. 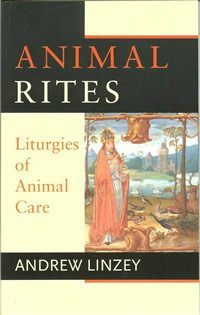 The most comprehensive treatment of the status of animals from a theological perspective. 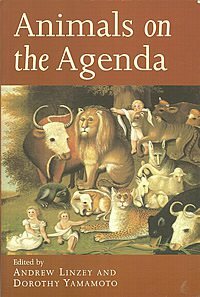 Argues, inter alia, that human dominion over animals ‘needs to take as its model the Christ-given paradigm of lordship manifest in service’. Co-edited with Paul Barry Clarke. London and New York: Routledge, 1995. 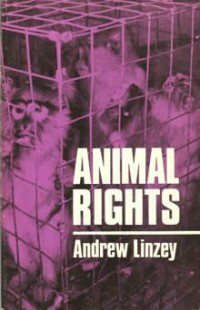 Comprises 10 entries on practical animal ethics by Andrew Linzey. with Dan Cohn-Sherbok London: Mowbray, now Continuum, 1997. 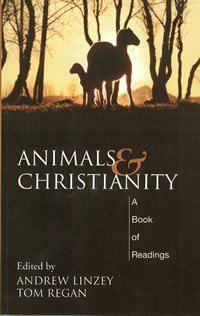 A study of Jewish and Christian teaching about animals, which shows the resources within both traditions for a positive understanding of animals. Co-edited with Dorothy Yamamoto. London: SCM Press, 1998. US edition: Chicago: University of Illinois Press, 1998. A collection of original studies on animals with contributions by Richard Bauckham, J. W. Rogerson, Stephen R. L. Clark, John B. Cobb Jr., J. B. McDaniel and others. London: Hodder and Stoughton, 1999. 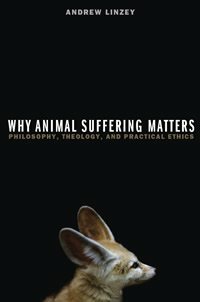 An evangelical sequel to Animal Theology, which argues, inter alia, that there is something Christ-like about the innocent suffering of animals which should compel a response of Christ-like generosity. US revised edition: Louisville, Kentucky: Westminster John Knox Press, 2000. 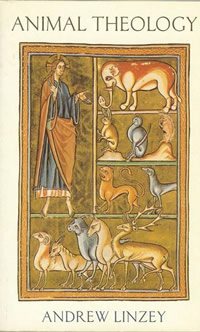 Fourteen new liturgies, including services celebrating animal companionship, services for animal welfare, healing liturgies, new eucharistic prayers ‘for the whole creation’, and animal burial services to enable Christian communities to celebrate animals as God’s creatures and our relationship with them. US edition: Cleveland, Ohio: The Pilgrim Press, 2001. Co-edited with Paul Barry Clarke. New York: Columbia University Press, 2005. 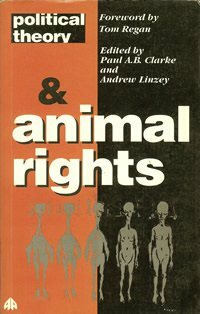 A reprint of Political Theory and Animal Rights together with Andrew Linzey’s new Preface, ‘Beyond Caricature’. Reissued by Eugene, Oregon: Wipf and Stock 2007. Winchester: Winchester University Press, 2007. 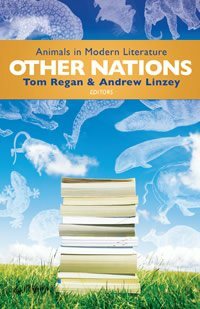 Updates and builds upon the work produced in the area of animal theology over the past two decades, including essays on ‘Towards a Prophetic Church for Animals’, ‘Religion and Sensitivity to Animal Suffering’, ‘Theology as if Animals Mattered’, ‘Jesus and Animals: A Different Perspective’, and ‘Animals and Vegetarianism in Early Chinese Christianity’. US edition published by Lantern Books New York, 2009. 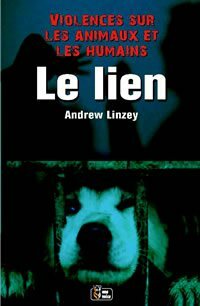 Linzey shows that many of the justifications for inflicting animal suffering in fact provide grounds for protecting them. Because animals, the argument goes, lack reason or souls or language, harming them is not an offence. Linzey suggests that just the opposite is true, that the inability of animals to give or withhold consent, their inability to represent their interests, their moral innocence, and their relative defencelessness all compel us not to harm them. Linzey pioneers a new theory about why animal suffering matters, maintaining that sentient animals, like children, should be accorded a special moral status. 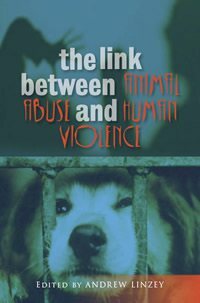 The most up to date, authoritative, and comprehensive volume on the link between animal abuse and human violence, with 28 contributors, including: Frank R. Ascione, Marie Louise Petersen, David P. Farrington, Eleonora Gullone, Sabrina Tonutti, Clifton P. Flynn, Christina Risley-Curtiss, Mark H. Bernstein, Mark Rowlands, Joan E. Schaffner, Dawn Hawksworth, Thomas I. White, and Priscilla Cohn. 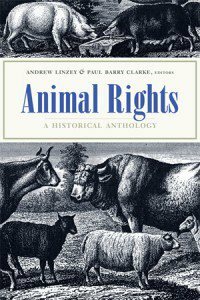 Designed as a course textbook, it is the world’s first anthology designed to employ the power of fiction to illuminate our moral relationship with animals. 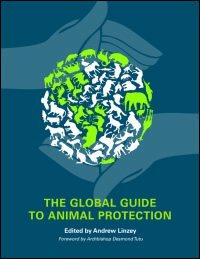 More than 180 introductory articles on the state of animal protection worldwide. 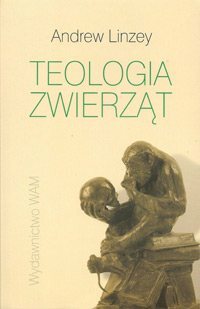 ‘Is Anthropocentricity Christian?’ Theology, Vol. LXXXIV, No. 697, January 1981, 17-21. ‘The Servant Species: Humanity as Priesthood’, Between the Species: A Journal of Ethics, Vol. 6, No. 3, Summer, 1991,109-120. 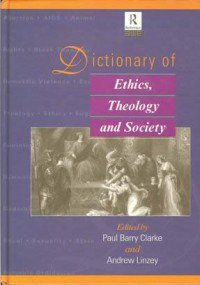 'The Moral Priority of the Weak: The Theological Basis of Animal Liberation’ in The Kingdom of God and the Kingdom of Animals, University of Edinburgh: Centre for Theology and Public Issues, 1991, 25-42. ‘Moral Dreams and Practical Realities’, Between the Species: A Journal of Ethics, Vol. 7, No. 2, Spring, 1991, 81-89. ‘The Case Against the Christian Hunter’, The Epworth Review, Vol. 20, No. 20, May 1991, 22-30. ‘Created Not Invented: A Theological Critique of Patenting Animals’, Crucible, April-June, 1993, 60-67. 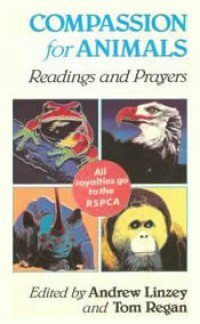 ‘Animal Rights: A Reply to Oliver Barclay’, Science and Christian Belief, Vol. 76, No. 10, October, 1993,15-17. ‘The Bible and Killing for Food’, Between the Species: A Journal of Ethics, Winter 1993, Vol. 7, No. 8, 1-8. 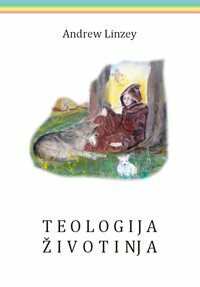 ‘Liberation Theology and the Oppression of Animals’, Scottish Journal of Theology, Vol. 46, Part 4, 1993, 507-525. 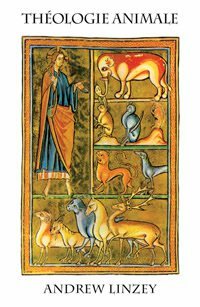 ‘Animals and the Churches: A Case of Theological Neglect’ (Guest Editorial), Reviews in Religion and Theology, No. 3/95, Summer, 1995, 3-7. ‘A Gospel for Every Creature’, The Expository Times, Vol. 107, No. 2, November 1995, 47-48. ‘Ethical and Theological Objections to Animal Cloning’, Bulletin of Medical Ethics, No. 131, September, 1997, 18-22. ‘C. 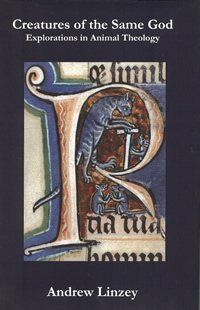 S. Lewis’s Theology of Animals’, Anglican Theological Review, Vol. LXXX, No. 1, Winter, 1998, 60-81. ‘Unfinished Creation: The Moral and Theological Significance of the Fall’, Ecotheology, No. 4, January, 1998, 20-26. ‘Bioethics: Making Animals Matter’, Biologist, Vol. 45, No. 5, 1998, 209-211 (with Jacky Turner). ‘The Ethical Case Against Fur Farming’ [summary], Environmental Values, Vol. 12, No. 3, August 2003, 269-70. ‘The Powers That Be: Mechanisms that Prevent us Recognising Animal Sentience’ in Essays in Philosophy: A Biannual Journal, Vol. 5, No. 2, June, 2004; see http://www.humboldt.edu/~essays/linzey.html. ‘Religious Vision and Sensitivity to Animal Suffering’, Interreligious Insight, Vol. 2, No. 4, October, 2004, 46-53. 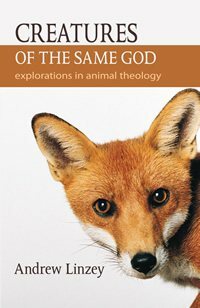 ‘The Divine Worth of Other Creatures: A Response to Reviews of Animal Theology’, Review & Expositor, Vol. 102, No. 1, Winter 2005, 111-124. ‘Respect for Life in Early Chinese Christianity’, Madang (International Journal of Contextual Theology in East Asia), Vol. 4, December 2005, 91-101. 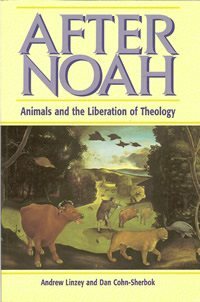 ‘Animal Theology – or theology as if animals really mattered’, Dialogue, Issue 26, April 2006, 3-9. ‘An Ethical Critique of the Canadian Seal Hunt and an Examination of the Case for Import Controls on Seal Products’, Journal of Animal Law, Vol. II, 2006, 87-119.